Smooth lines and No visible hardware. 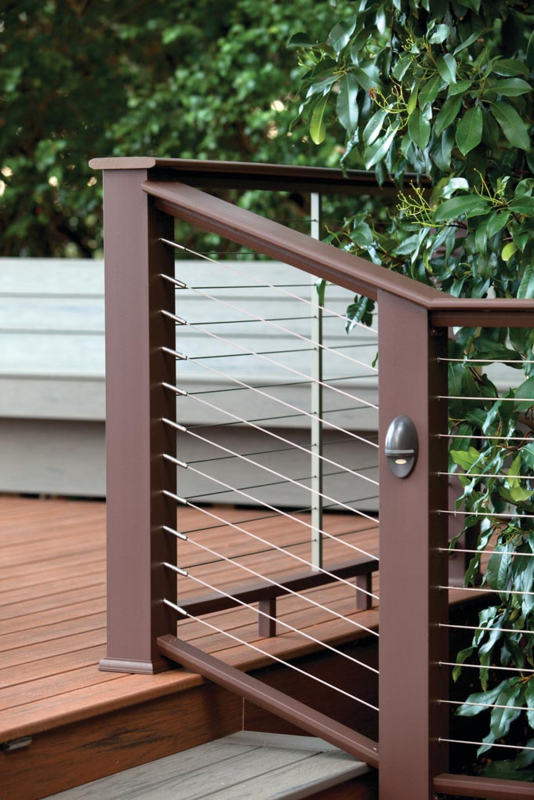 Both add to the high-end look of RadianceRail composite railing, TimberTech’s most sought-after railing product. 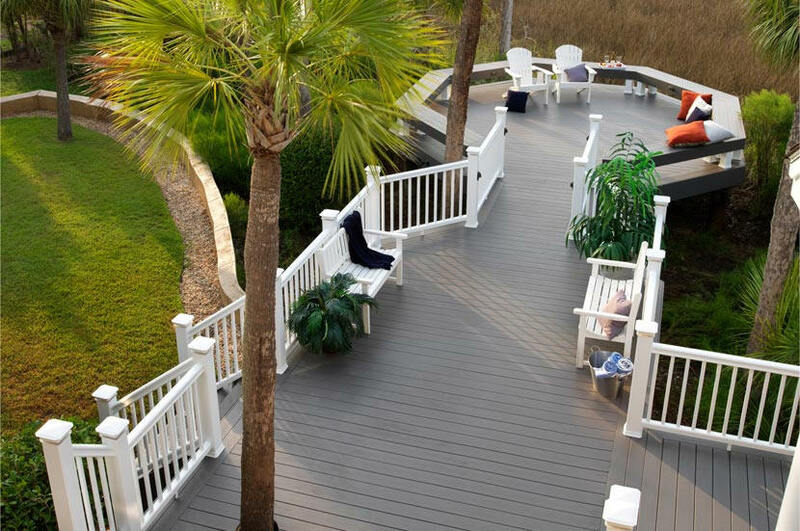 RadianceRail composite railing colors match or complement all our planks. 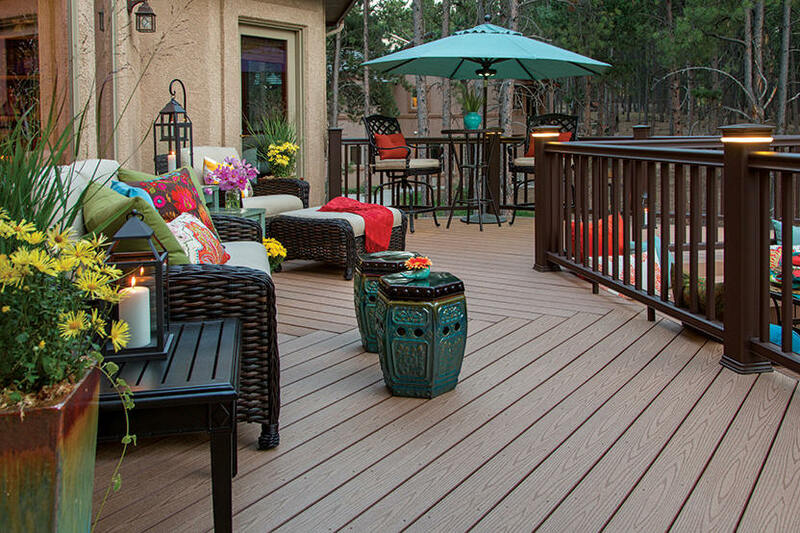 Homeowners can mix and match differing post and rail colors, curve the rail and add a deck lighting system for a truly upscale look that reflects their unique styles. Radiance Rail Orders ship within 5 days. Note: 10' rails cannot be shipped with UPS and may incur higher shipping costs. Extra shipping costs will not be charged without prior notification. Includes Quick-Connect Fittings, Quick-Connect Swivel Fittings, Hanger Bolts and lock nuts. 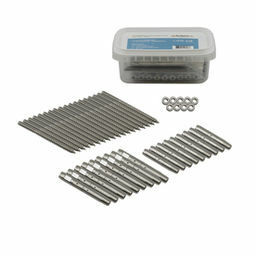 These Bracket Kits are included with Rail Kits. They are only needed if you cut a larger kit into 2 smaller kits. 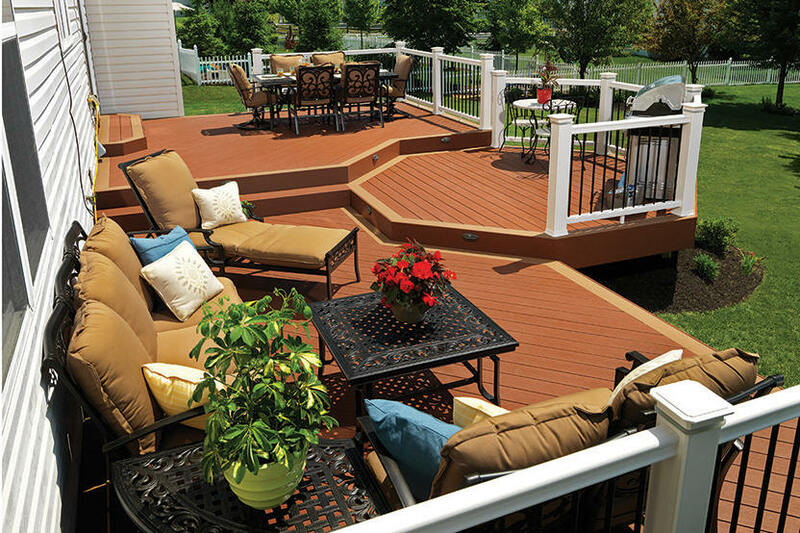 For Secure Post Mount attaching to Deck Surfaces. Use this kit along with a Rail Kit and Baluster Kit to create a gate.